Cut the Rope 2 is finally launching this month, announced the Chief Executive of Russian Mobile developer ZeptoLab yesterday evening at a press event. Best-selling physics based puzzle game will be exclusively launched on iOS devices with this new sequel. Finally ZeptoLab has announced its popular puzzle game sequel. In this new adventure, Om Nom is embarking on a journey to restore his collection of candies stolen by spider. Cut the Rope 2 for iOS will be discounted at a price of $.99 cents for a limited time. There is no announcement yet if the game sequel will be released for Android and Windows any time soon. Releasing in just two weeks on December 19, Cut the Rope 2 has been long awaited by its fans who were eager to get it for their iOS devices. 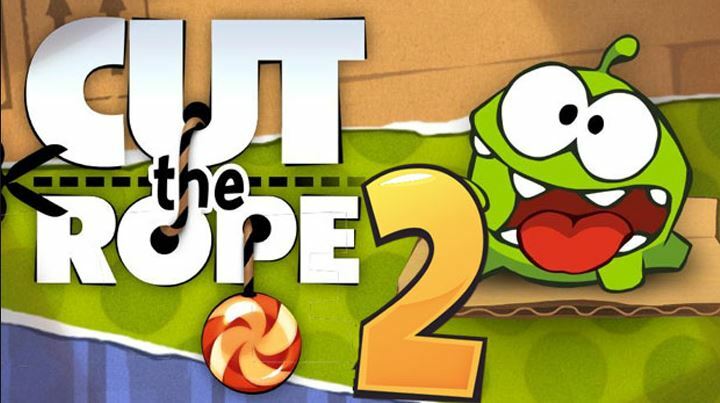 “Cut the Rope 2 takes place over five themed worlds, each home to a new creature that can aid or hinder Om Nom. Forest stages house Roto, an orange critter that can carry objects up and down the screen. Junkyard stages feature Blue, a blob made up of self-multiplying copies. And the Sandy Dam hosts Lick, who can make secondary bridges with its long tongue. The final two creatures are Boo, a purple creature in Underground stages that can knock back Om Nom when they collide; and Toss, a spring-headed creature in the City Park stages.” – Venture Beat. Cut the Rope 2 is going to be iOS-only at least on its release. Chief Executive termed the game as hard, however, still accessible to children with animated cutscenes and interactive Om Nom.